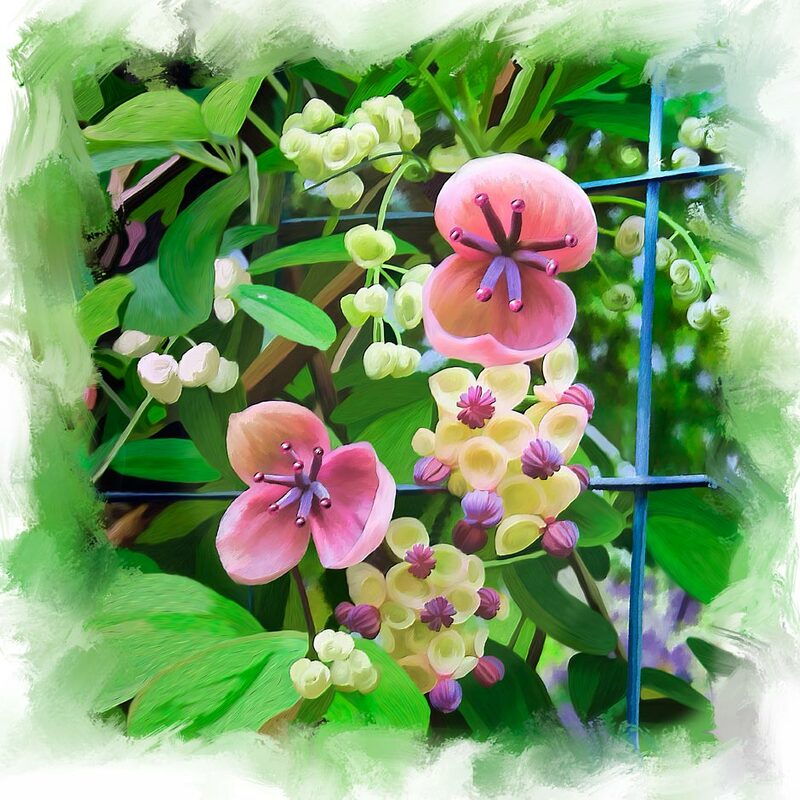 This Akebia quinata Chocolate Vine with blossoms was a fun thing to paint. A 16 x 16 inch gallery wrap canvas print is $95.00. A 22 x 22 inch gallery wrap canvas print is $150.00. A 26 x 26 inch gallery wrap canvas print is $185.00. A 24 x 24 inch glossy paper unmounted print is $105.00. A 16 x 16 inch glossy paper unmounted print is $58.00.